It really does feel like summer is actually here all of a sudden. The changeover to British Summer Time nearly two weeks ago has meant an end, until the autumn at least, of starting rides in darkness (in the evenings anyway – my early-morning training sessions are still partially lights-on affairs for now). I’ve been celebrating by stepping things up a notch or two, putting in some extra hours on the bike and basically trying to rescue things after a very disrupted and stuttering start to the year. Despite the slow start I’ve been coping and recovering well during and after big rides so I probably should just stop worrying about it. 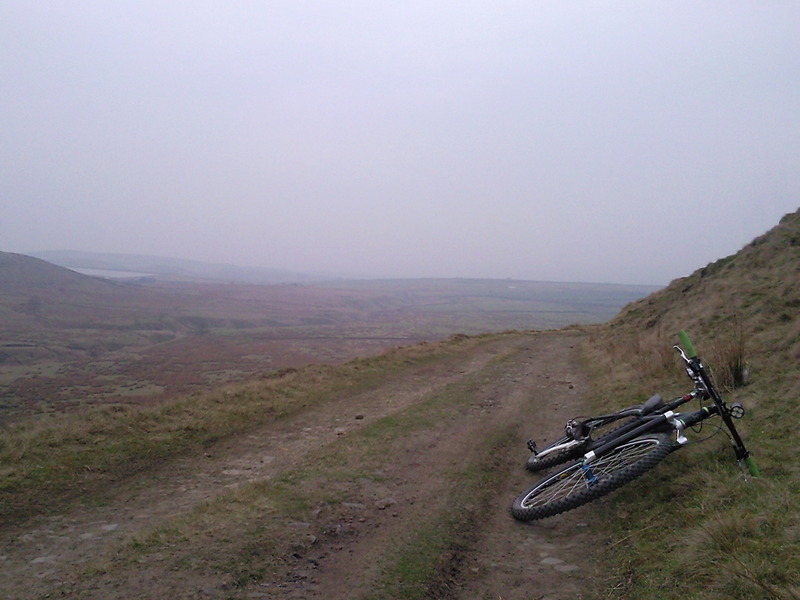 At the moment though, it’s all about road bikes with tough-but-skinny tyres and cobbles. Last weekend I joined a surprisingly large number of like-minded folk for a ride around the hills, towns and cobbles of Lancashire in friend of Hit the North, Here Come the Belgians member and all round good egg Alan’s Ronde Van Oost Lancashire. 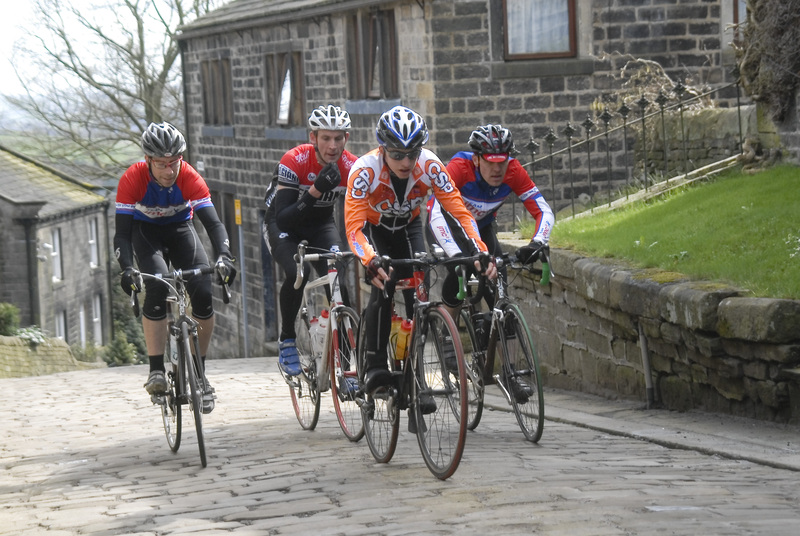 A local version of the Tour of Flanders, it’s a tough old ride but it’s definitely made easier and more enjoyable by the fact that someone you know has lovingly crafted it, the route is top-drawer and you’re in great company. I’ve done plenty of road sportives in the past and I’ve enjoyed all of them (including that one in Huddersfield where I blew up with 10 miles to go), but the atmosphere at the Ronde really was something else. Just a great day out. There was even a cake stop, courtesy of Sportsunday. 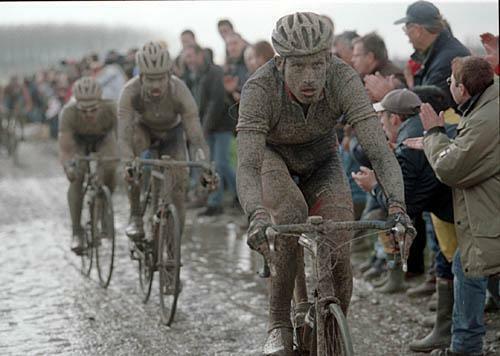 At the end of this week Dave, me and Phil are off to France to ride the Paris-Roubaix sportive. This is the ‘new’ event that was a race once but recently has had to be scaled back quite dramatically due to safety reasons. Or something. There’s no timing now, the roads are not closed and the route is a bit shorter. Disappointing. I’ve read the less-than-convincing-and-teflon-coated-blame-shifting excuses on various websites and have my own suspicions about what’s gone wrong but I won’t bother moaning to the organisers about it because there’s simply no point. Nope, we’ll ride the ‘touring ride’ as it’s now called, ride it as fast as we would have done had it been a race and maybe compensate for the shorter distance somehow by adding a healthy dollop of Team JMC / Ragley Daft-ness to our own plans for the day…. We have options to discuss in the car to Dover.